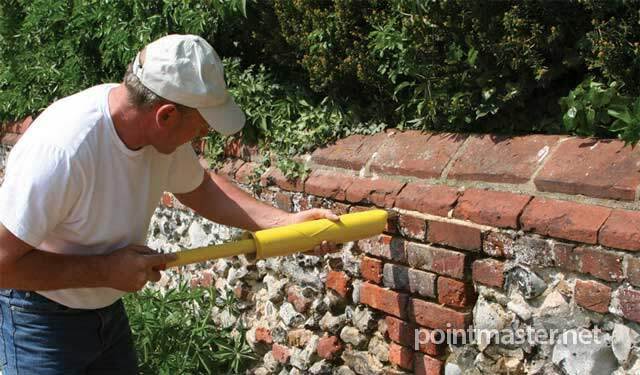 The PointMaster is extremely effective for the repointing of old brickwork, where the mortar has crumbled away. 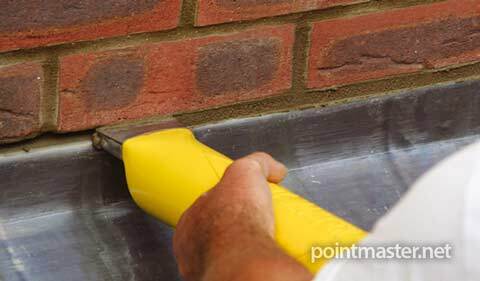 The Hi-Flo nozzle allows the mortar joint to be completely filled on the first pass. This ensures the best repair possible, completed in a fraction of the time taken using traditional methods. The time saved improves job margins and increases profitability. When repointing brickwork where the joints have already been cleared, 10 square metres per hour is achievable. this time also includes time to strike and finish the brick mortar joints. 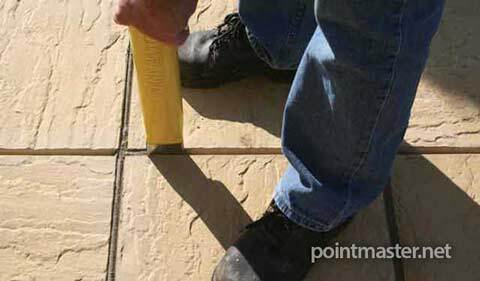 For masonry pointing, the PointMaster is suitable for use with most mixes. 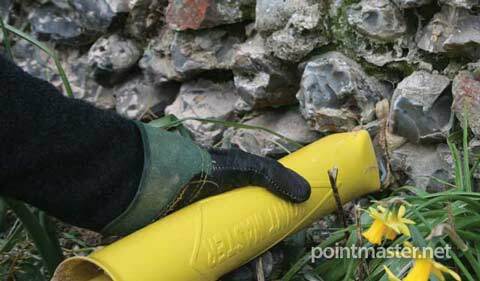 This includes hydraulic lime mortar mixes for heritage repairs. If required, it's easy to adjust the nozzle width to suit the joint you are working on. 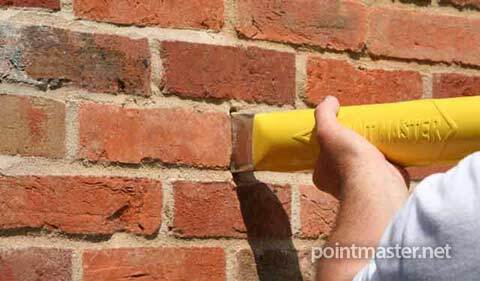 This ensures an accurate and clean fill, keeping the brickwork face free from excess mortar. 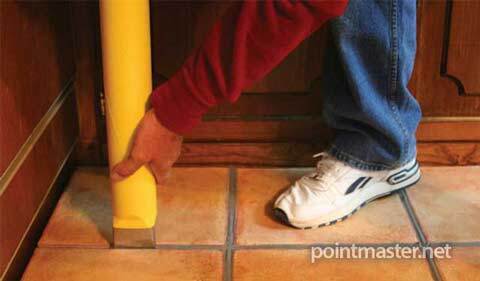 Mortar joints can then be struck and finished as required. When repointing masonry and brickwork, always remember to remove all the loose and powdery mortar and recess the joints to a depth of 15 - 20mm, then dampen the brick cavity and existing mortar to ensure the best adhesion. This can be seen clearly in the image below. Click the "Play" button below to watch our Brickwork pointing video. 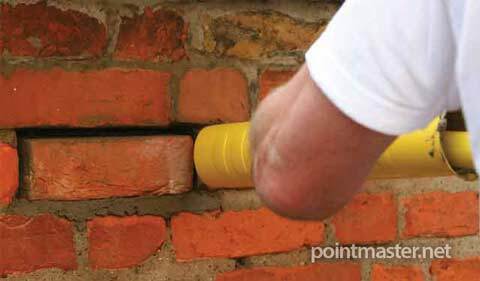 In this sub 2 minute video, we show the Point Master tool repointing the brickwork of a wall built of recycled british bricks. You can see how the application of mortar is fast and very precise, with negligable surface staining, which is vital in delivering a professional result. If time and care is taken in slightly over-filling the joints, it is possible to weather-strike the joints if required. Normally, joint types should match the surrounding brickwork.